Thanks to Piper Blueberry Farm for sponsoring this post. All opinions are mine along. 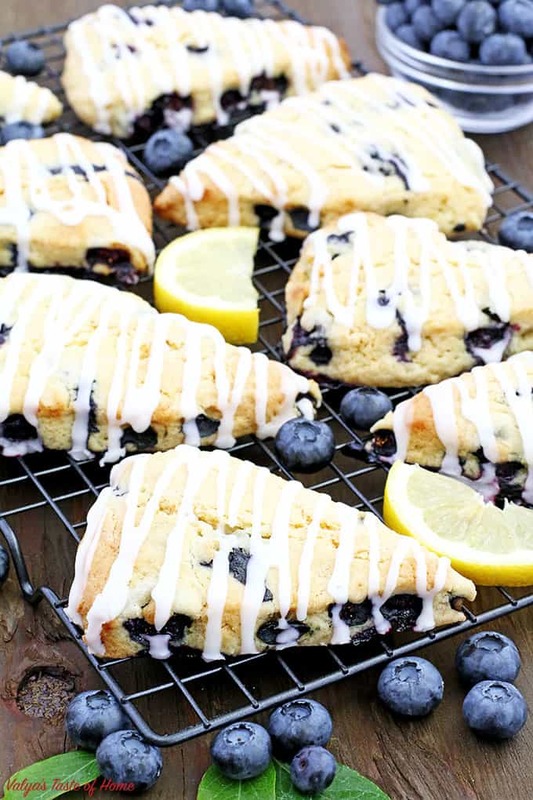 These Lemon Blueberry Scones with Lemon Glaze are light, moist, and fluffy. 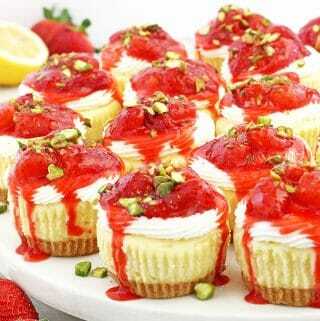 They have just the right amount of sweetness, drizzled with lemony goodness, which makes them taste simply scrumptious! 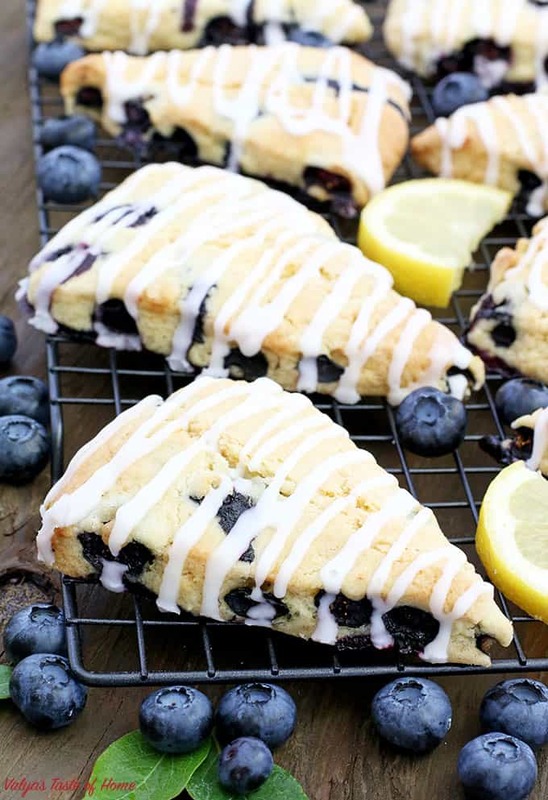 Scones make a perfect breakfast, brunch or an afternoon coffee break. 1. 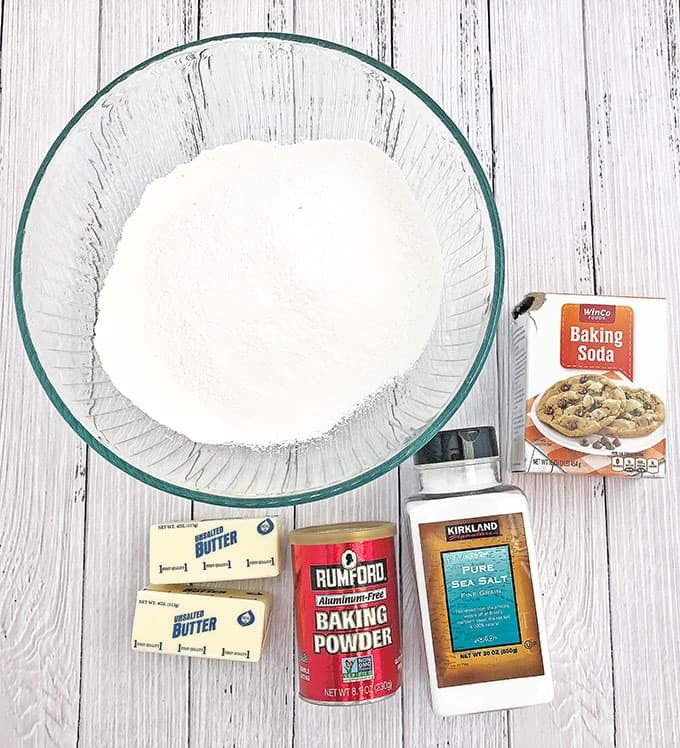 Preheat the oven to 350 F (180 C).Combine dry ingredients in a large bowl flour, baking powder, baking soda, salt, and stir together the dry ingredients using a hand whisker. Add pieces of cold butter to the mixture and cut into the dough using a pastry cutter until the texture turns crumby. Cover the bowl with a lid and place it into the fridge so the butter doesn’t melt or soften. 2. Zest the yellow part of the lemon skin (the outside of the lemon) using a zester. Set aside until ready for use. 3. Beat eggs into a medium bowl, then add the sugar and beat on high using a hand mixer until foamy and light in color. 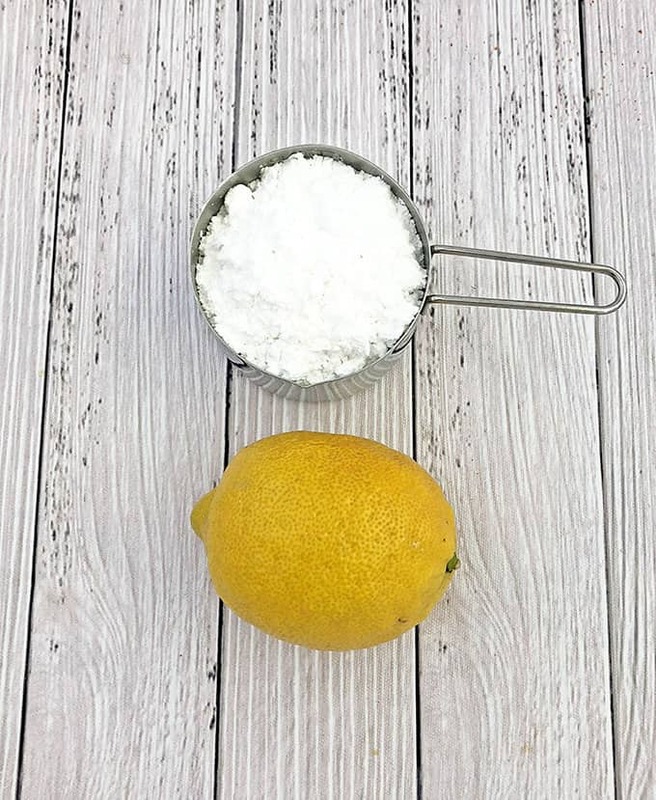 Add freshly squeezed lemon juice, lemon zest, and vanilla extract. Beat once more for 15 seconds or until all combined. 4. 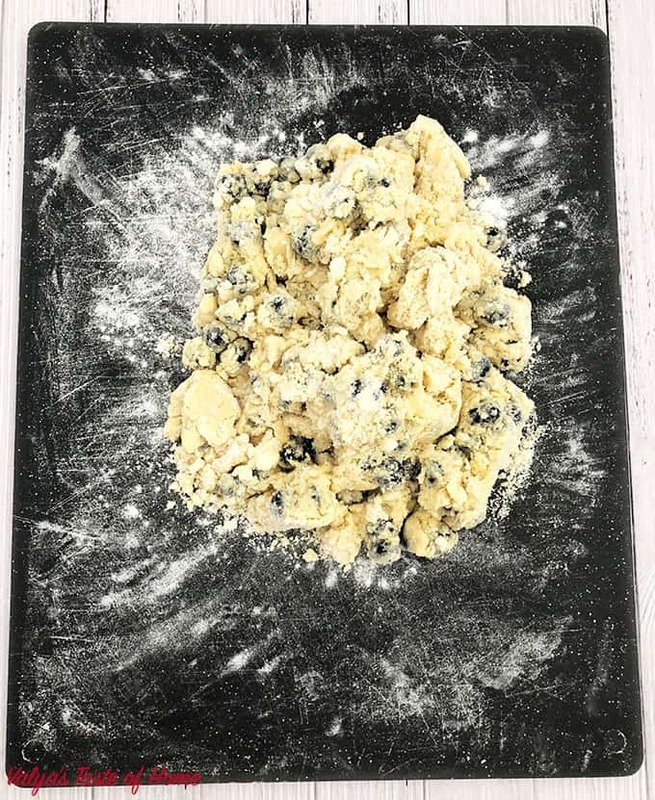 Add egg mixture into the buttery flour, add fresh blueberries and using a silicon spatula fold everything together until combined. 5. Transfer crumby scone mixture onto lightly floured work surface. 6. 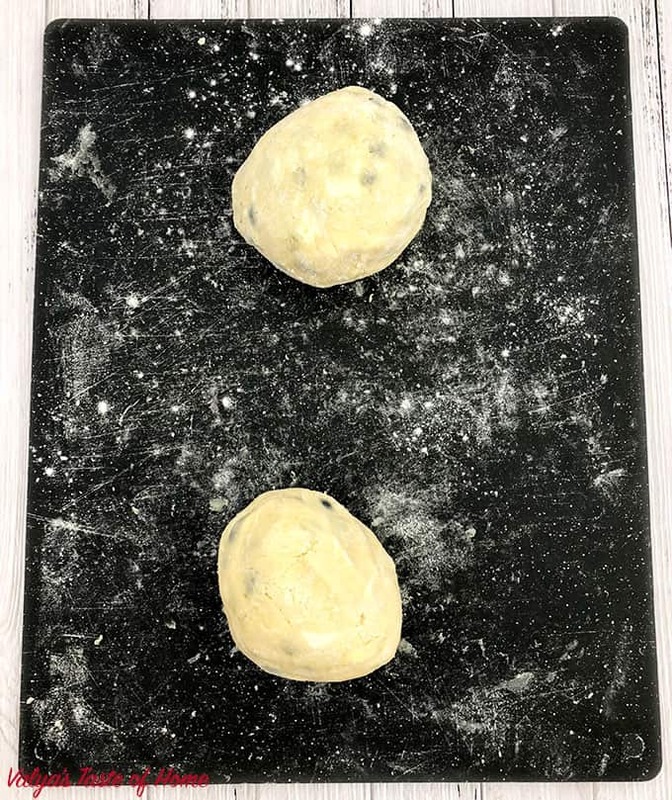 Split the dough into two portions and gently press and roll batter together using your hands. Sprinkle a little flour if needed when working it into a ball. Be careful not to overwork the dough. 7. Press each ball into a disk using your hands and then cut into equal size wedges using dough cutter. 8. Carefully transfer uncooked scones onto a 15 X 21 baking pan lined with parchment paper. 9. Bake in preheated to 350 F (180 C) oven for 25 minutes. Remove from the oven to cool before glazing. 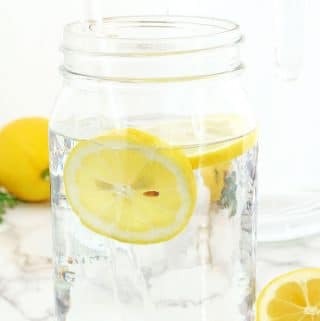 Combine together confections sugar and freshly squeezed lemon juice. Stir well until smooth. 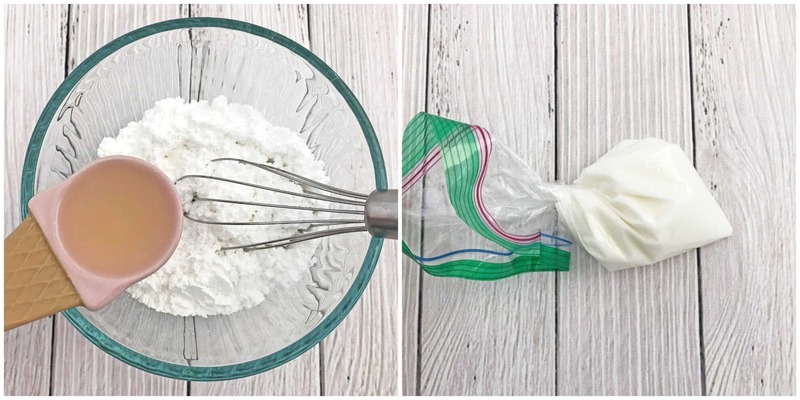 Transfer the glaze into a sandwich bag, cut the tip off the bag and drizzle warm scones. 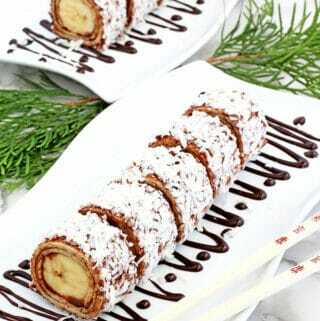 Serve with a hot cup of coffee, tea or a glass of cold milk. 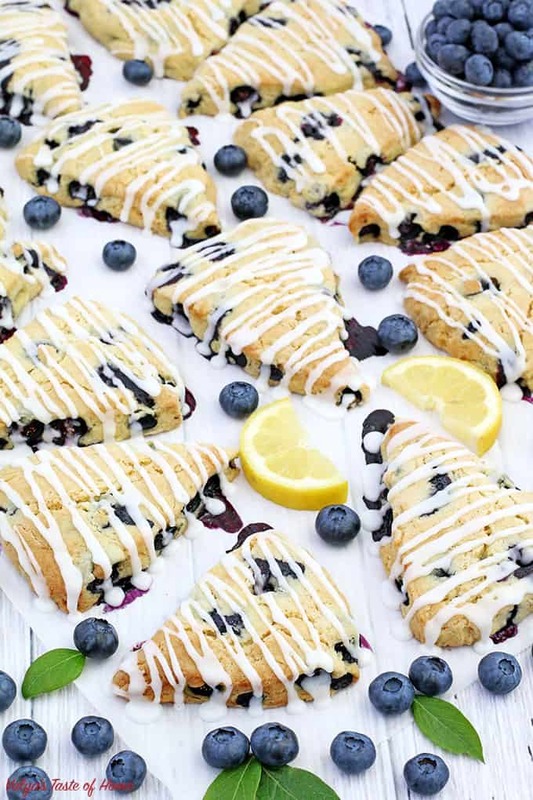 If you make this Lemon Blueberry Scones with Lemon Glaze Recipe please share a picture with me on Facebook, Instagram or Pinterest. Tag with #valyastasteofhome. I’d love to see your creations! ? Follow Piper Blueberry Farm on Facebook or Instagram to stay up-to-date on their news. 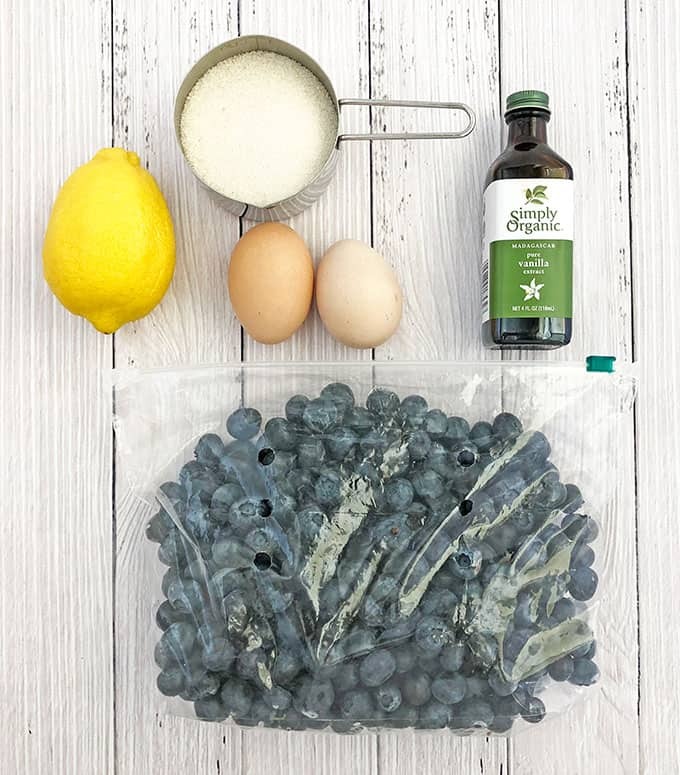 Be sure to check their website for more delicious blueberry recipes. 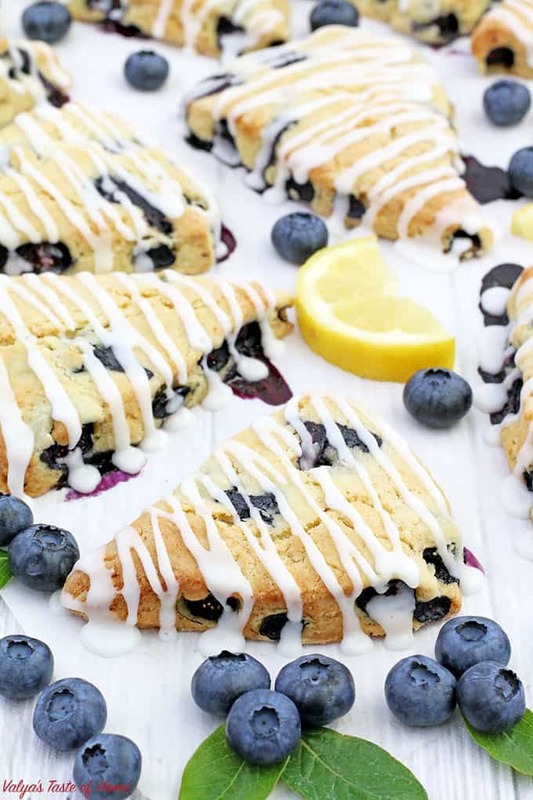 These Lemon Blueberry Scones with Lemon Glaze are light, moist, fluffy, and have the right amount of sweetness, drizzled with lemony goodness that fits perfectly and makes them just simply scrumptious! Scones make a perfect breakfast, brunch or an afternoon coffee break. Preheat the oven to 350 F (180 C). Combine dry ingredients in a large bowl flour, baking powder, baking soda, salt, and stir together the dry ingredients using a hand whisker. Add pieces of cold butter to the mixture and cut into the dough using a pastry cutter until the texture turns crumby. Cover the bowl with a lid and place it into the fridge so the butter doesn’t melt or soften. Zest the yellow part of the lemon skin (the outside of the lemon) using a zester. Set aside until ready for use. 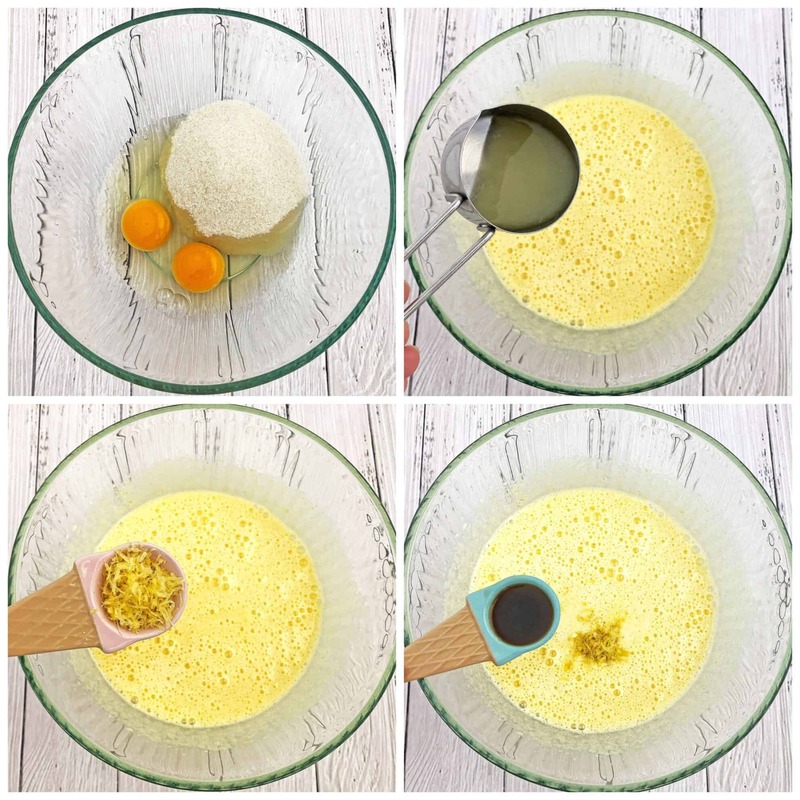 Beat eggs into a medium bowl, then add the sugar and beat on high using a hand mixer until foamy and light in color. 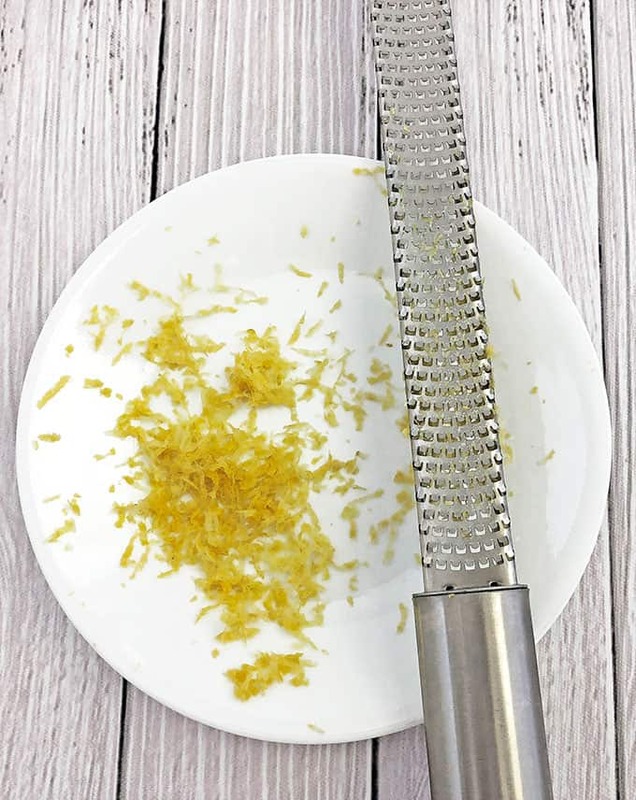 Add freshly squeezed lemon juice, lemon zest, and vanilla extract. Beat once more for 15 seconds or until all combined. 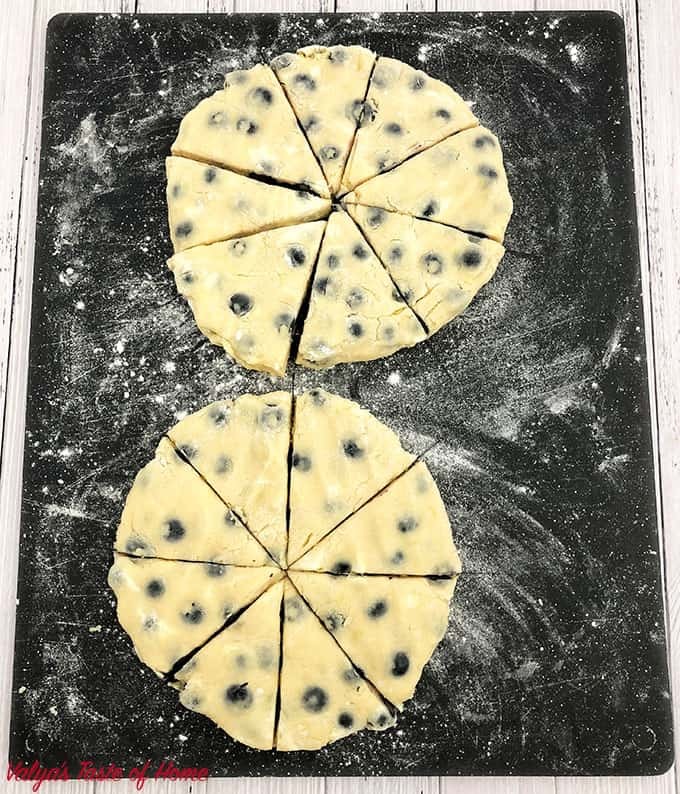 Add egg mixture into the buttery flour, add fresh blueberries and using a silicon spatula fold everything together until combined. Transfer crumby scone mixture onto lightly floured work surface. 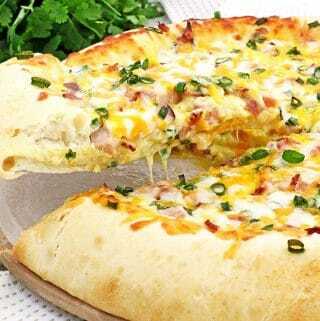 Split the dough into two portions and gently press and roll batter together using your hands. Sprinkle a little flour if needed when working it into a ball. Be careful not to overwork the dough. Press each ball into a disk using your hands and then cut into equal size wedges using dough cutter. 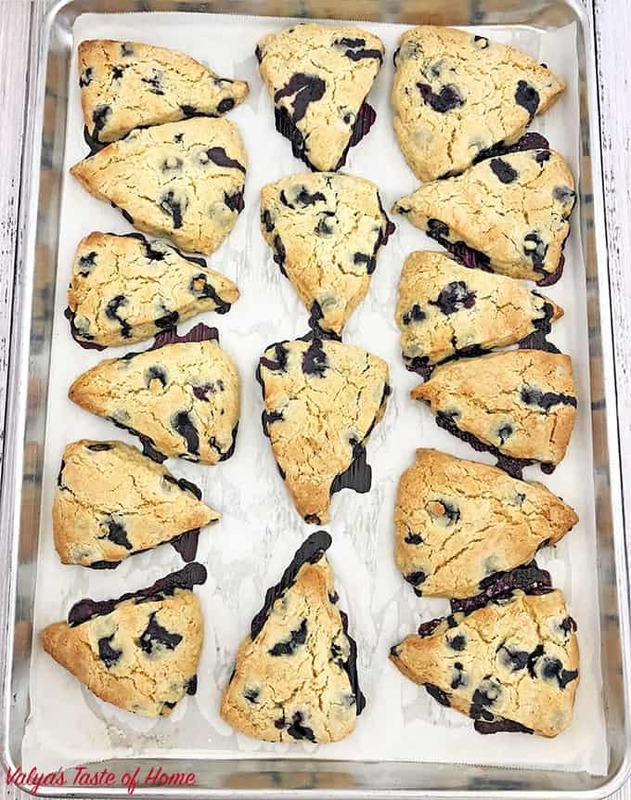 Carefully transfer uncooked scones onto a 16 X 22 baking pan lined with parchment paper. Preheat the oven to 350 F (180 C) and bake for 25 minutes. Remove from the oven to cool before glazing. 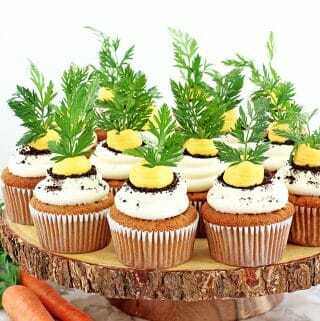 Previous Post: « Valya’s Taste of Home 4 Years Blog Anniversary Giveaway! We actually picked local blueberries late June and i froze many. 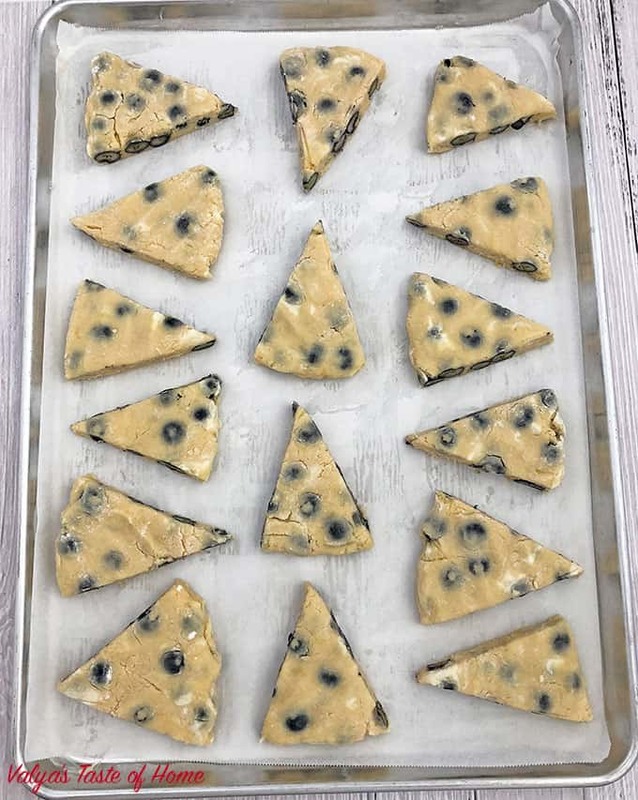 Would frozen blueberries work for this recipe? I’d love to give it a try,! Yes, the frozen ones will work too, they will leak out a bit more. 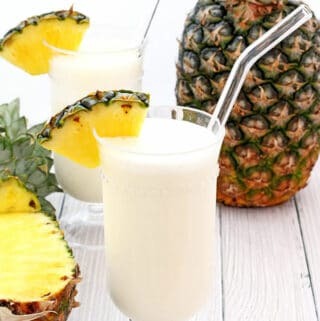 These look so good ! And that icing ? ?